I am busy working all day but I decided to turn on the radio and computer on the side of the room. I am letting the computer decode and post spots to the internet while I am working. 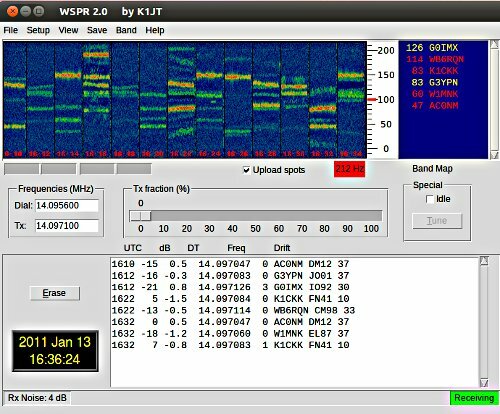 It appears that 20m is pretty busy with signals from North America and Western Europe.